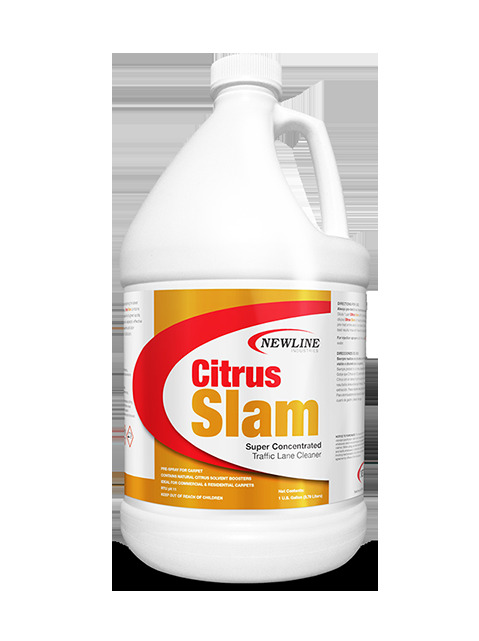 Citrus Slam is the #1 selling Pre-Spray in the Newline family. This unique product is full of power and boosted with d’limonene. It works on water and oil based spots and is especially effective on food and protein based soils. Open the bottle, proceed with your cleaning and leave behind a great citrus fragrance. For pump or electric sprayer use: Dilute 4 oz. per gallon. Use warm water. For injection sprayer use: Dilute 48 oz. per five quarts. Use warm water.